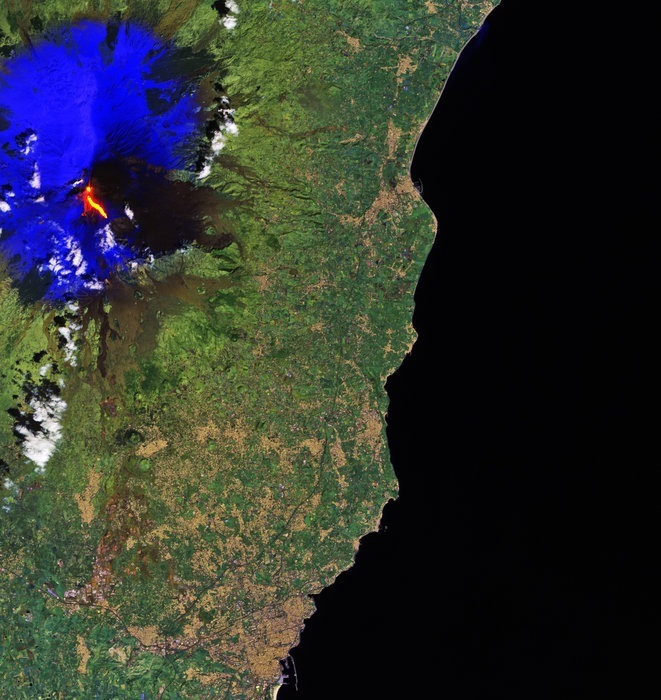 In the morning, many tourists were witnessing to an eruption of Etna, in Sicily, and they have been hurted by a rain of lapilli. Around 11:30 a.m., because of the contact between magma and the snow on the top of the volcano, lava totally blew up, hitting ten people who were a few hundreds of metres far from the lava flow. Lapilli and vulcanic lava hurted people especially at their head. However, according to Sicilian Civil Defence, none should be in danger or seriously hurted. On the place of the lava flow, Police, Civil Defence and Sicilian SAR. In the end only seven people requested medical assistance to variuous hospitals in Acireale. Three of them are English.